In July, 2016, Netflix released the first season of the television show, Stranger Things. Becoming an instant worldwide phenomenon, Netflix created a second season, released on October 27, 2017. 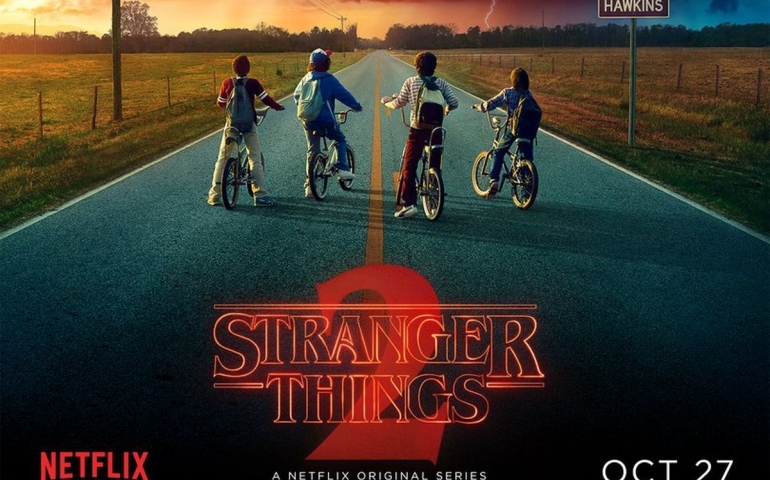 Stranger Things 2 not only lives up to the first season, it achieves a larger goal of expanding the Stranger Things universe and developing depth to all characters. In large, it asks questions about humanity and hospitality, framing it through the lives of middle schoolers. The Duffer Brothers, the creators and head writers of Stranger Things, managed to develop a character environment unique to modern television, one where all characters are likable. Although the creatures of the “Upside Down” seem to be the villains of the story, there is still room for empathy as, like Eleven, they are strangers to this new world. Every character is human, each getting a moment to both fail and succeed. This makes it easy to relate to all characters, creating a more immersive world, paying off in the moments of horror in the second season. While Stranger Things is set in the 1980’s, there are many relevant themes that bleed into modern times. Vernier dissected the themes of the show, noting the parallels between the “othering” of Eleven and the “othering” our society practices with people of different race, religion, socioeconomic status and so on. The hospitality Mike showed to Eleven seems to be the Duffer Brother’s reflection of how we should respond to the “others” of the world. The Duffer Brothers seem to be playing with Jung’s idea of “facing the Shadow,” yet also showing the importance of community through awkward middle schoolers. In the literal sense, facing the Shadow is a part of their maturity into teenagerdom. But it also represents the growth and maturity of a community, as each character has developed a home through the hospitality of one another.